The day Clara was appointed manager of an IDP camp in Duhok she realized the immense task awaiting her. The bone-chilling cold and the snow which covered the area added to the suffering of women and children in the camp, yet she thought it could be a warm start in the life of the multi-ethnic, multi-religious residents of the camp. Clara Elya Gor’eel, a 32 year old Christian woman from Duhok’s Amedi district was handed the tough job of running the Dawdi camp located in Zakho four years ago. In the beginning, she was afraid of failure as she had to deal with three different ethnicities and religions gathered in one place. Dedication and avoiding discrimination were the strength points which lead to Clara’s success. Despite the many challenges and obstacles she faced since she embarked on her job in January 2015, including her lack of experience, Clara managed to become one of the highly successful IDP camp managers. 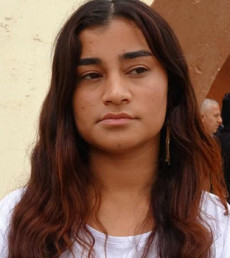 Before undertaking her new task, Clara worked as a civil servant in the office of Bamarne’s sub-district commissioner. With the arrival of thousands of displaced families who fled Islamic State (IS) brutality in 2014, she was asked by the district commissioner to work in one of the camps; later she was promoted to camp manager due to her dedication and wholeheartedness. “I worked for 3 months at an IDP camp, later I took part in a 5-day training course about IDPs and camp management. 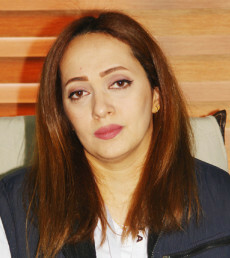 Following the course, I was assigned by Duhok governor as manager of Dawdi camp”, said Clara. It was a new experience for Clara and an opportunity for her to show her capabilities. Soon after she embarked on her new duties, heavy snow and bone-chilling cold arrived resulting in further suffering for the camp resident. “I didn’t know what to do, the winter was very and the families needed kerosene for heating; furthermore they suffered from water scarcity and power shortages”. This was the first challenge this Christian woman had to face. Humanitarian agencies were operating randomly across IDP camps. On one hand, Clara had to meet the needs of the IDPs and on the other she had to coordinate with these agencies and enable them to operate more efficiently. “For three months I couldn’t sleep at night; I always thought about what I should do and whom should I ask for help so that I could alleviate the suffering of the IDPs”, she said. 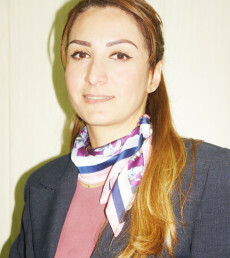 Clara graduated from Duhok Universuty’s college of management and economics in 2010. She is mother of two and hails from Dawdi village where the camp has been set up. 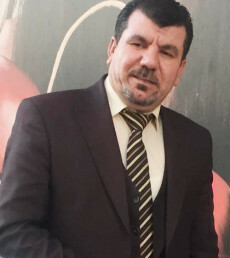 At first nearly 1,000 families who were mostly Ezidis lived in Dawdi Camp, in a ddition to 100 Christian families and tens of Sunni Arab families. The majority of the humanitarian agencies decreased their relief supplies after large numbers of IDPs returned to their home areas. “Out of 900 cabins, more than 600 are in bad shape”, she added indicating that neither the organizations nor the government are ready to tackle this problem. Clara says she has her own plans concerning camp management. Every day she visits the camp and listens to their needs and demands and delivers them to relevant authorities. Furthermore, she oversees the work of the agencies and the distribution process of aid supplies. Once she had to argue with a Christian organization which wanted to distribute relief supplies only to the Christian families in the camp. “I said no. There should be no discrimination between the camp residents”. “The day I tackle one of their problems is my happiest day”, said Clara.